Wondering what this is all about? Check out the newest edition of the FOCUS newsletter and see what Flying Chickens and Parachutes have to do with you! 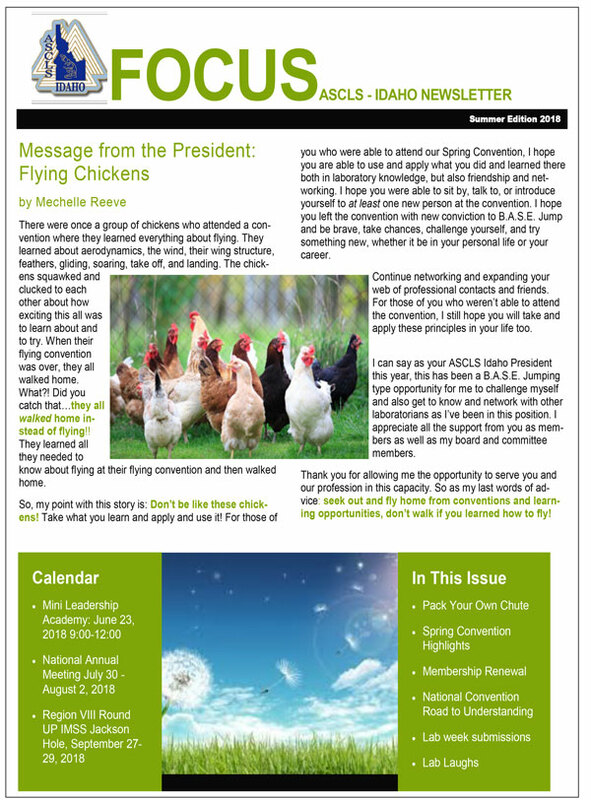 We have so much information packed into the 2018 Summer Edition of the ASCLS-Idaho FOCUS Newsletter that you will be soaring with the chickens before you know it!